Starbucks has been offering various iTunes freebies for what feels like years now, and typically the way you’d get them is by going to an actual Starbucks location and looking around for the physical cards that had iTunes promo codes printed on the back of them. There is/was several problems with this system, in that some Starbucks locations didn’t seem to bother to put them out, their employees didn’t know about them, or if they did, some jerk could’ve just come and taken the whole stack to give away or trade online (something I’ve actually seen with some high-demand freebies). 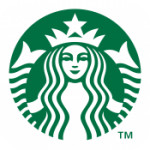 Well, that’s behind us now as the Starbucks app (Free) is now offering freebies directly. If you download the app, then go to the home screen by tapping the “Home" button in the bottom left you’ll see a “Messages" icon. Tap that, and you’ll get a mews feed of sorts filled with free songs, as well as a free offer for Angry Birds Star Wars (Free). Getting it is as simple as tapping “Download Now" which tosses you over to the App Store with a free copy of the game. 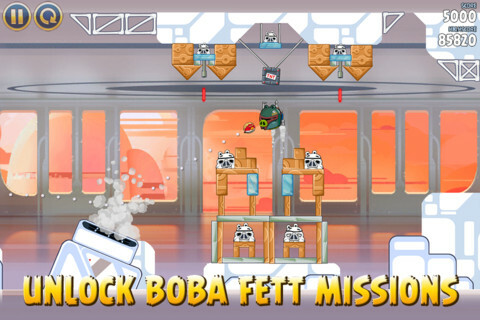 Angry Birds Star Wars is a fantastic game, which you can read about in our review. Rovio did a great job of combining those super-familiar Angry Birds mechanics with new abilities and gameplay elements that make the whole thing feel very Star Wars-y. And, for free, why not? Also, the Starbucks app is pretty useful too, especially if you drink a lot of coffee from them. It’s a little shocking how quickly rewards stack up if you use the Passbook Starbucks card. UPDATE: …Aaaand if you really don’t want to bother downloading the Starbucks app, or would prefer to redeem the offer on your computer, you can mash this link right here and get Angry Birds Star Wars for free in your normal web browser. This sort of seems to be circumventing the whole idea behind the promotion though, so don’t be surprised if that direct link doesn’t work for very long.